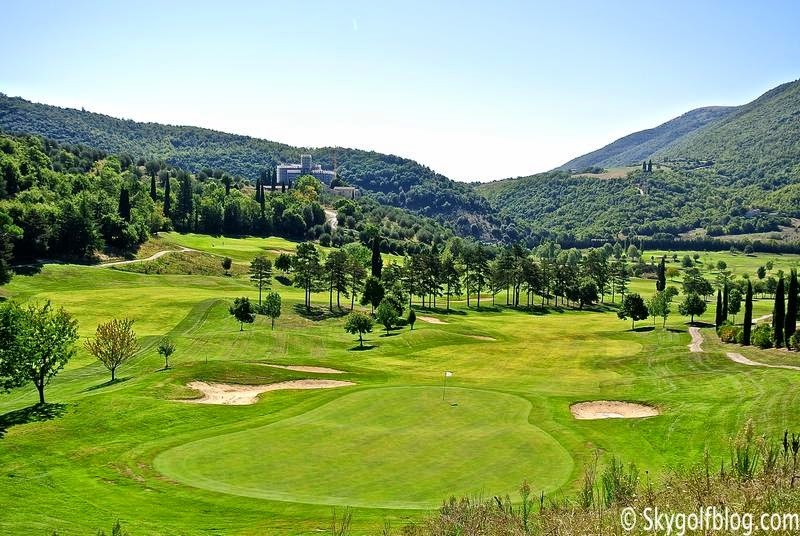 Skygolf brings us in the heart of Italy to visit one of the most picturesque and unique golf courses in continental Europe. 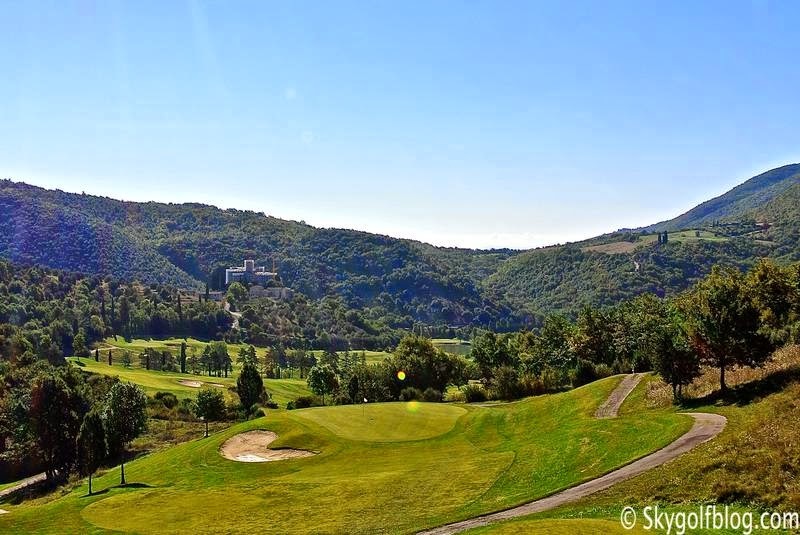 An hidden gem nestled in a small valley dominated by a Medieval Castle, located 12 miles north of Perugia and 120 miles north of Rome. 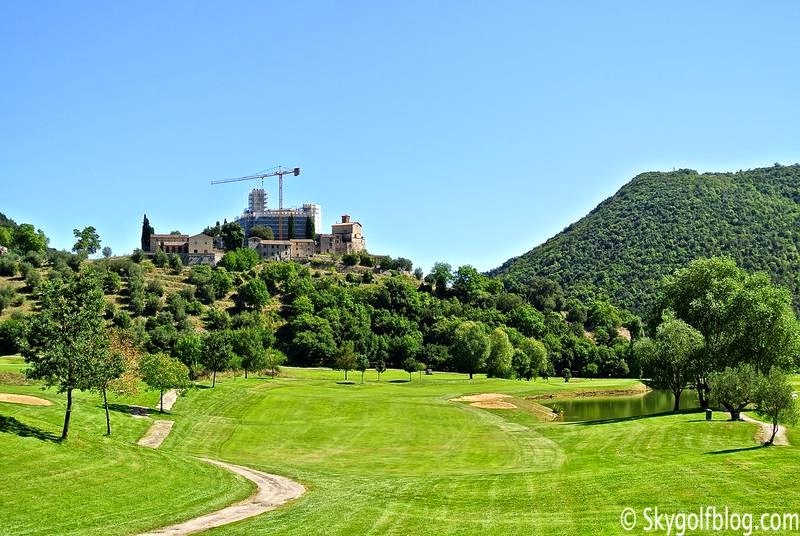 The scenic drive through valleys, forests, old farmhouses and villas, is marvelous, and you will remain captured by the view of the castle approaching the course. A little corner of inland Scotland in Italy. 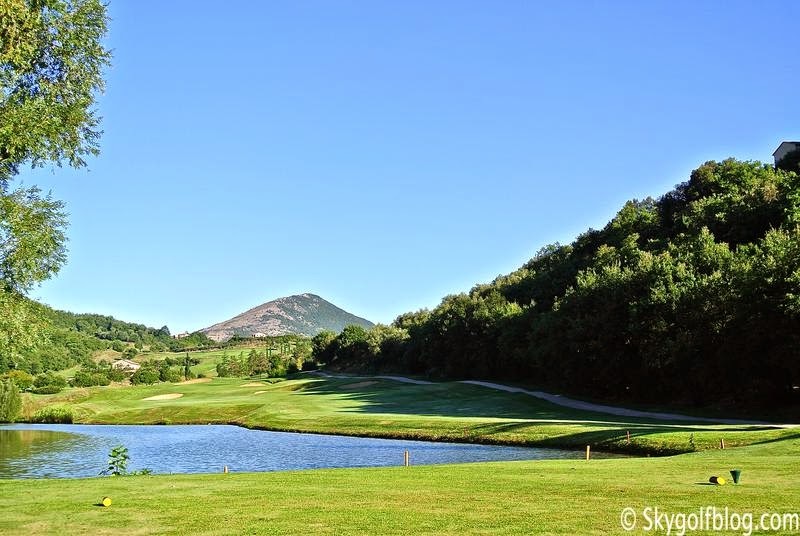 A typical old farmhouse complex, beautifully restored to retain its original charm, awaits members and visitors serving as the clubhouse and restaurant. The small but complete practice area is adjacent to the clubhouse, and after stretching and warming up at the driving range I was ready to tee off. 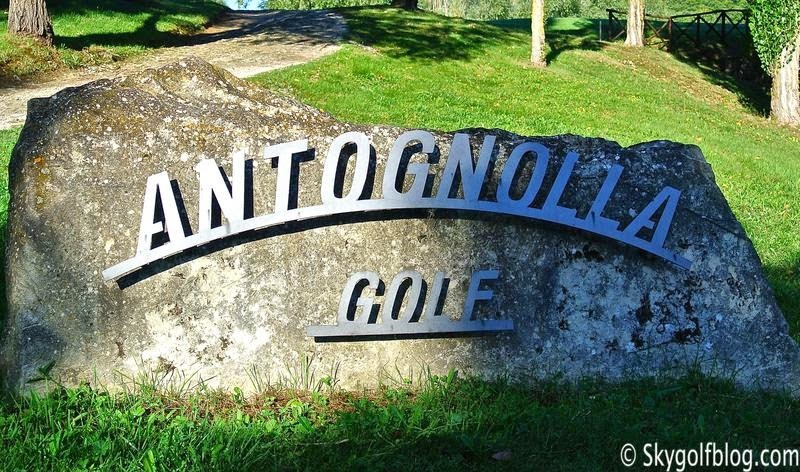 A masterpiece in itself designed by Robert Trent Jones Jr, Antognolla golf course opened in 1997 and has quickly become a favorite of golf enthusiasts, both amateurs and professionals. 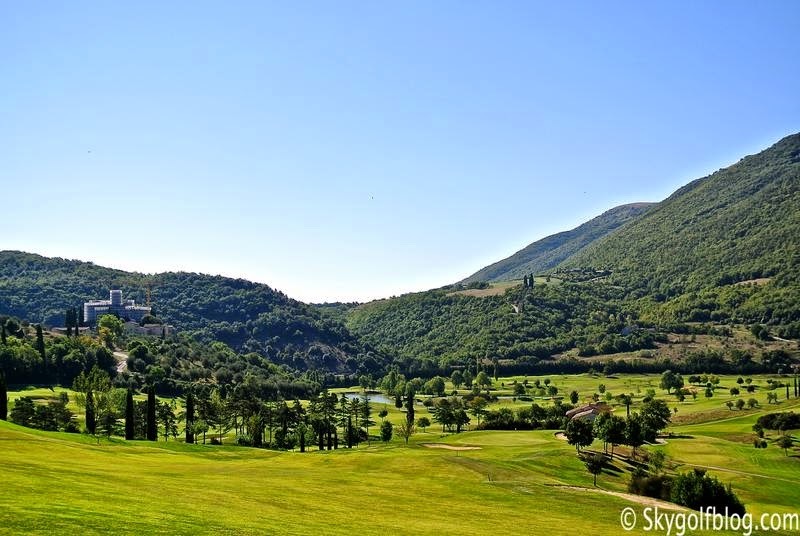 The course, par 71, stretches for 6112 meters from the back tees, and 5646 meters from the yellow tees, a combination of fun and challenge delivering a complete golf experience on a layout that honors the natural beauty and contours of the land. A course that feels like it has been there forever. 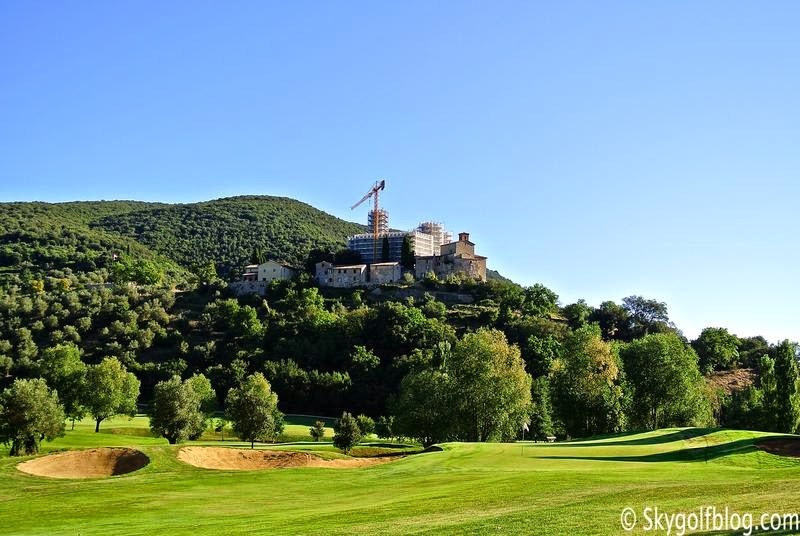 The design, dominated by the castle which can be visible form every hole, features an unexpectedly large amount of elevation changes, rolling and wide fairways, breathtaking views of the valley and large undulating greens strategically surrounded by bunkers. The first three holes are relatively flat. 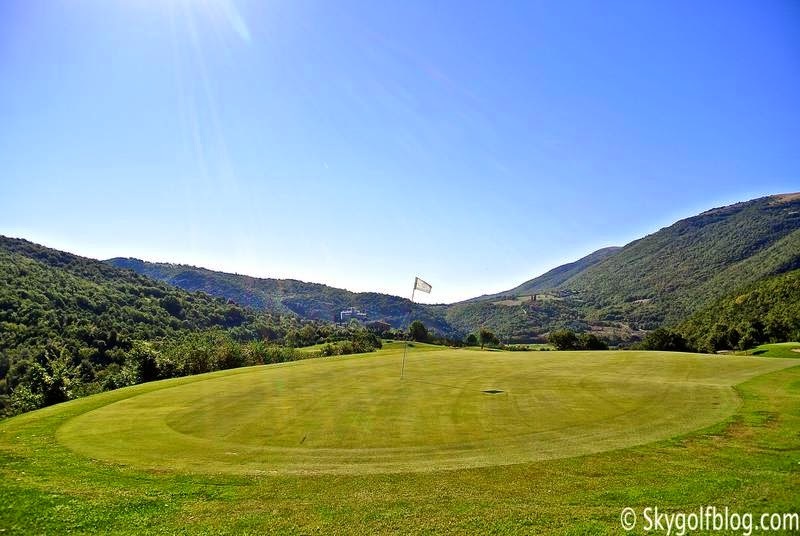 The opening hole is a 361 meters par 4, followed by a drivable 286 meters par 4 and by a short par 3 (136 meters). The heathland course starts to climb with the par 4 4th and becomes more challenging. The par 5 6th climbs uphill the entire length of the hole, the par 4 7th is a slightly dogleg-left uphill hole with strategically placed bunkers. 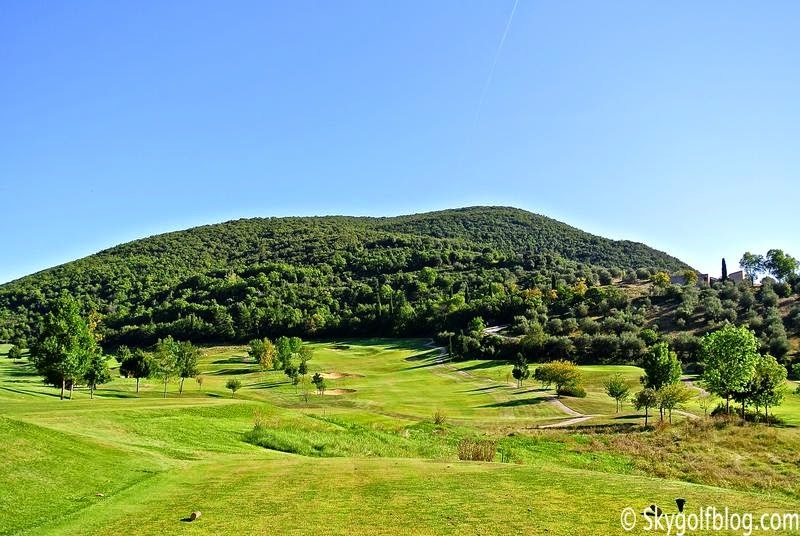 The 8th is one of the greatest, hardest and at the same time strangest hole I ever played. 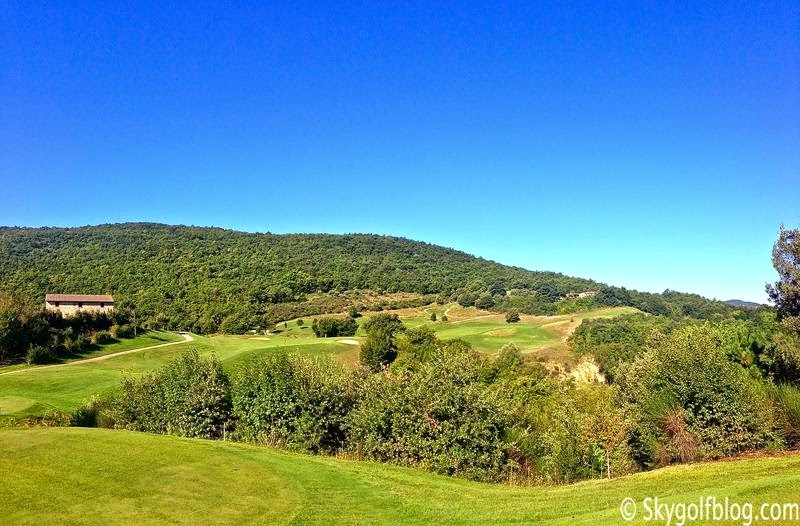 An horseshoe shaped par 5 with a ravine that runs on its entire right side. 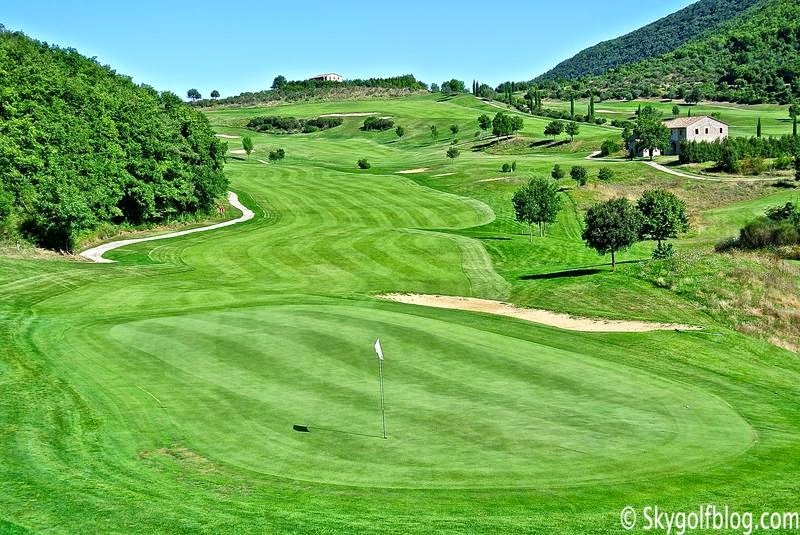 The second shot is to a split fairway and the third shot requires to be extremely precise to reach the elevated green located on the highest point of the course. 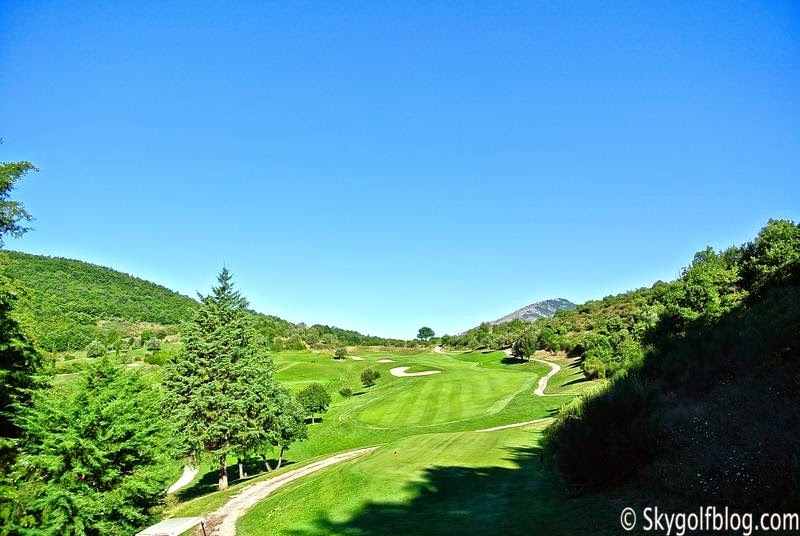 When playing this hole take your time and enjoy the views of the landscape that surrounds you. With the downhill par 3 9th, in typical RTJ2 style, the course starts to descend. At the turn you wont't end back at the clubhouse, but some refreshments are available between the par 4 10th and par 4 11th. 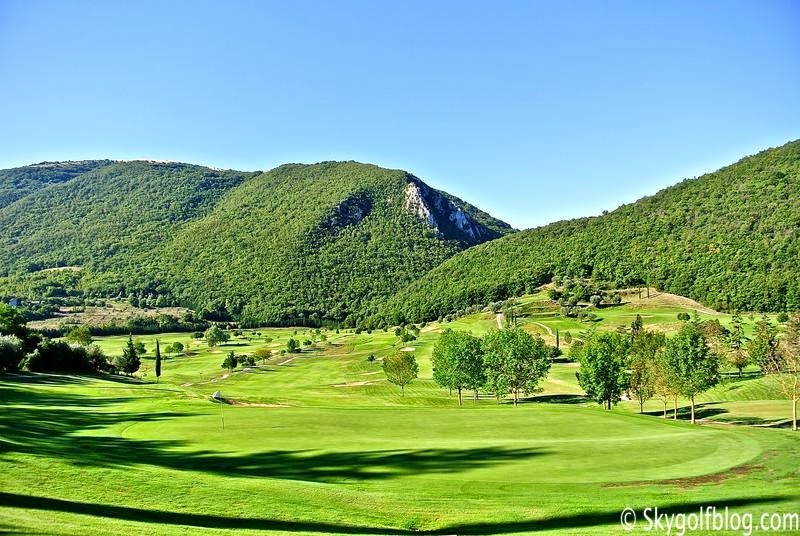 The reachable and slightly dogleg right 463 meters par 5 12th brings to the longest par 3 of the course: 189 meters to a large and well protected green, usually played headwind. The 363 meters dogleg left par 4 14th brings us uphill again. 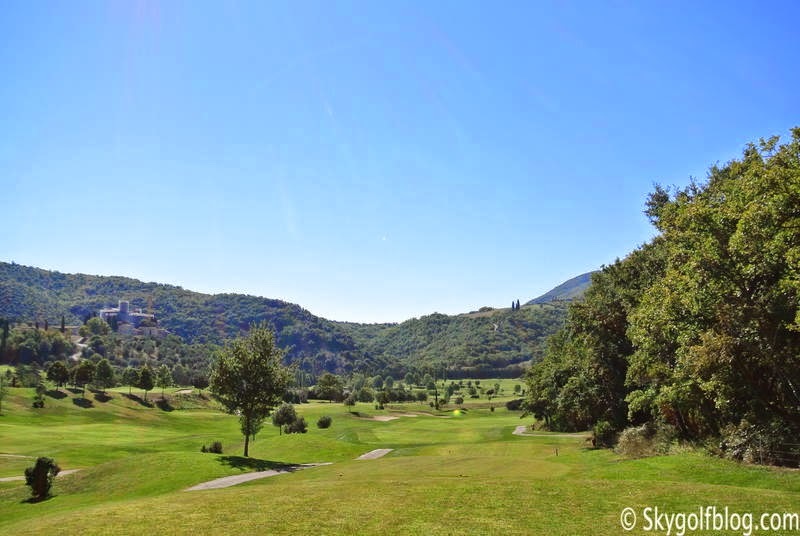 Next the pretty 360 meters dogleg right par 4 15th where a downhill fairway awaits the tee shot. 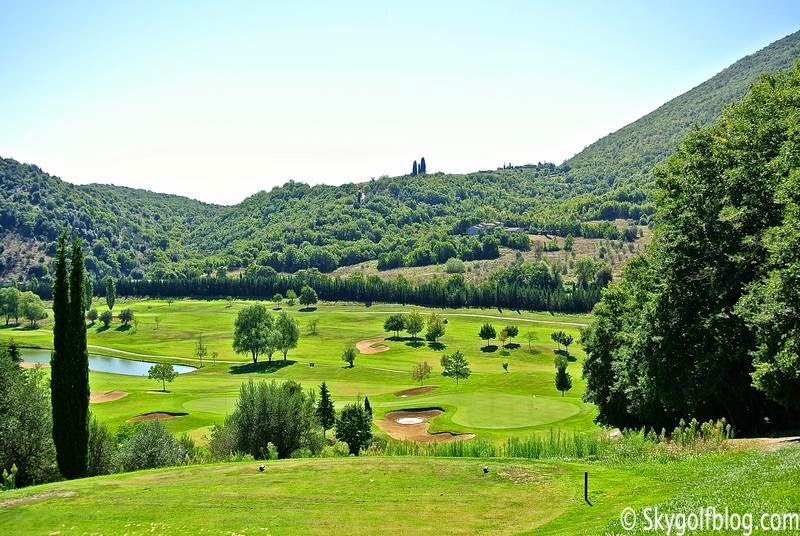 The 380 meters par 4 16th is the hardest hole of the course. Tee shot from an elevated tee down to a fairway that slightly climbs towards an elevated and protected green. 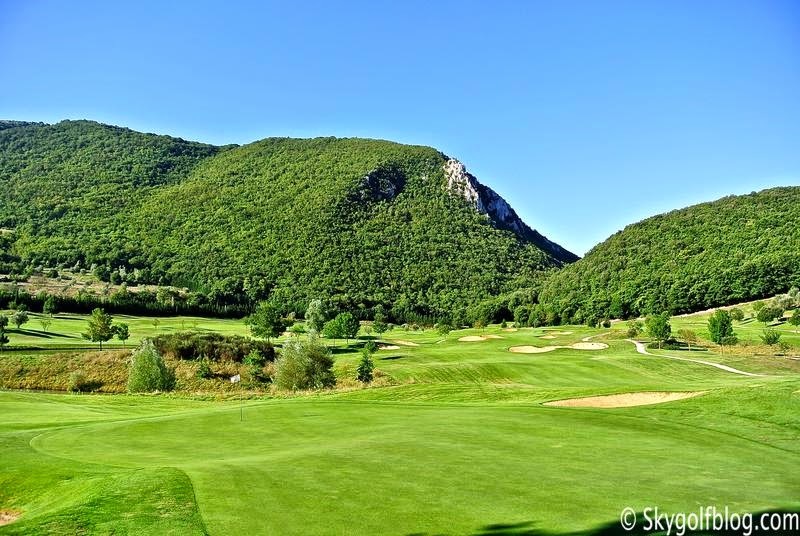 The 17th is another remarkable hole, a stunning 156 meters par 3 with a vertical drop of more than 20 meters to reach the green. 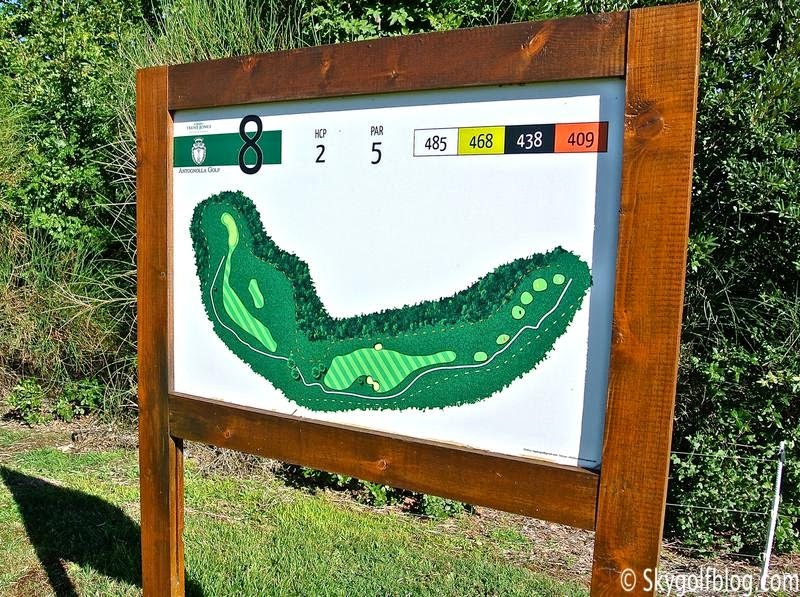 A great finishing hole is usually the one that makes a golf course memorable. 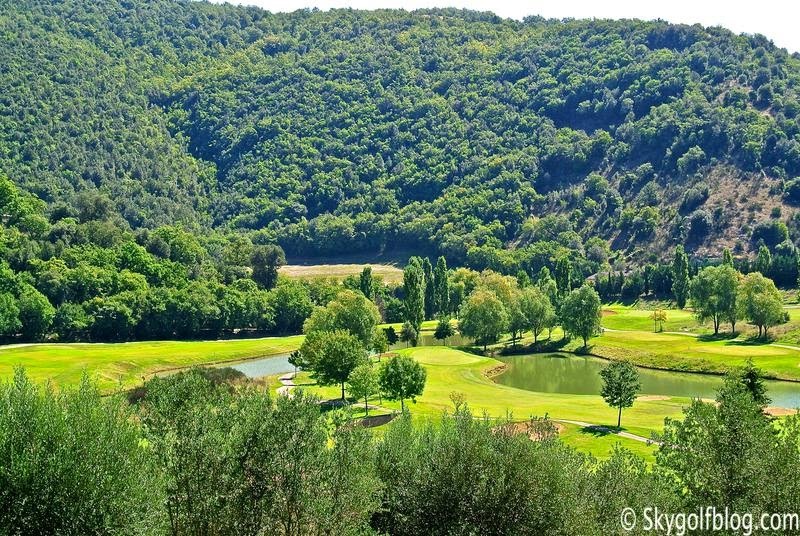 The 18 is a terrific 325 meters par 4 with a pond that runs on the right side and surrounds almost entirely the green. 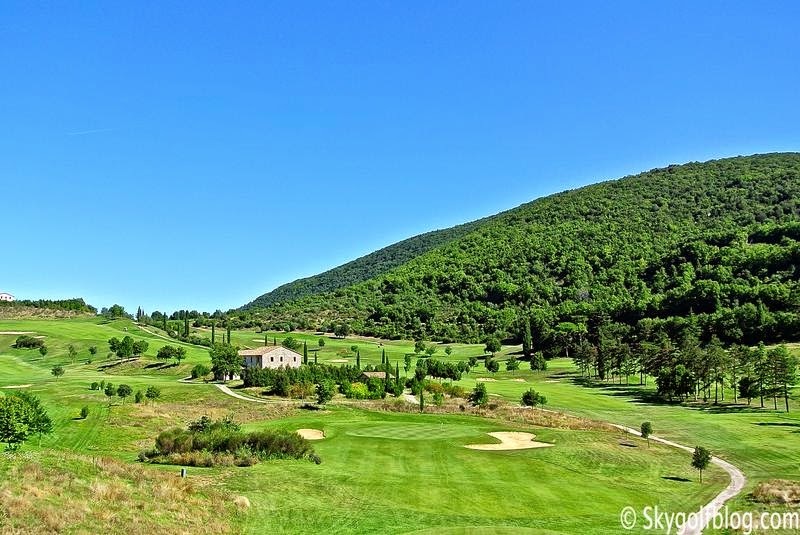 A spectacular golf course designed by one of the greatest architect of the planet, a must-play destination for every golfer. 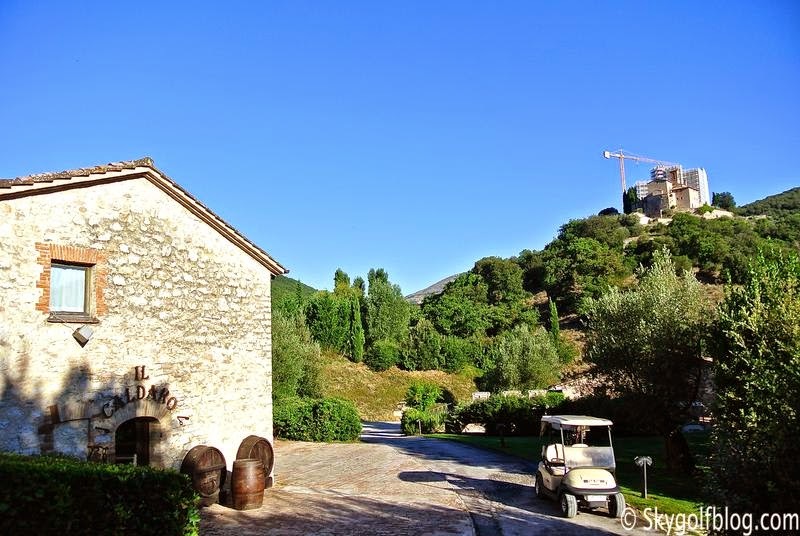 One of Italy's best kept secrets. 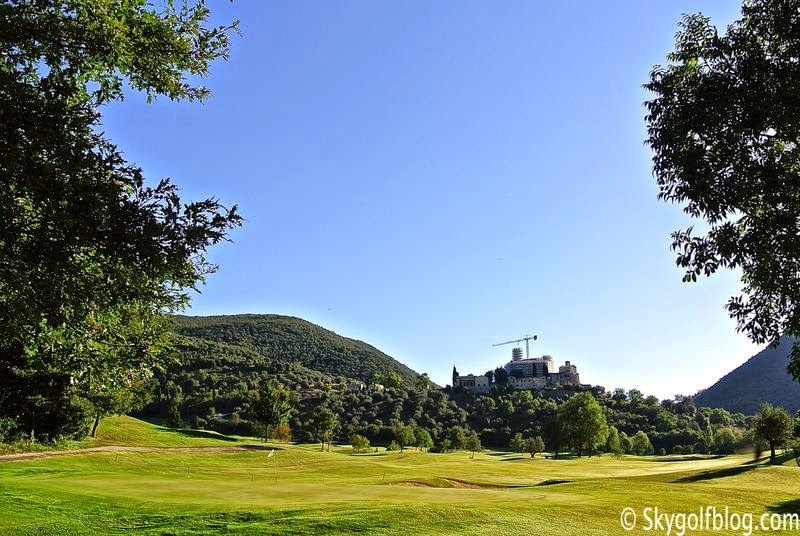 Before leaving Antognolla Golf Course try one of the traditional recipes of Umbria at the clubhouse restaurant Il Caldaro. And if you are spending the night in the area do not miss the elegant and charming Borgomela Restaurant located just 10 minutes away. Their filet with truffles is absolutely delicious.